Do you have a highly strung or sensitive horse that becomes strong when you’re riding him? 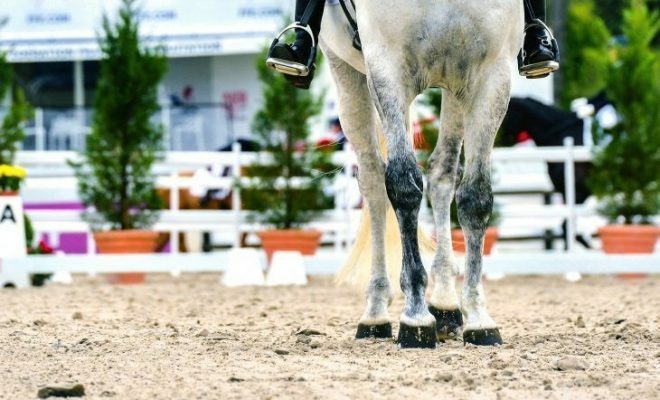 This is a problem encountered by many riders, and it creates many other problems, especially in dressage. In this article, we’ll give you some top tips on how to ride a strong horse. First of all, have a professional saddle fitter check to make sure that your horse’s saddle fits him properly. 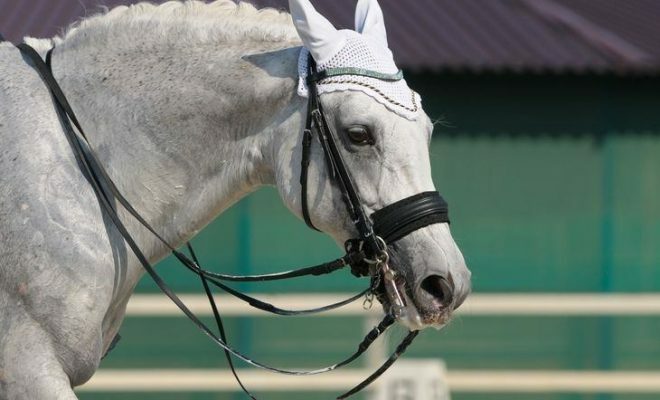 Look at your bridle and bit(s) to check that they fit correctly and that there are no sharp edges that could be causing your horse pain when you take up the contact. If all are in order, ask your vet to check your horse’s back, neck, and teeth. 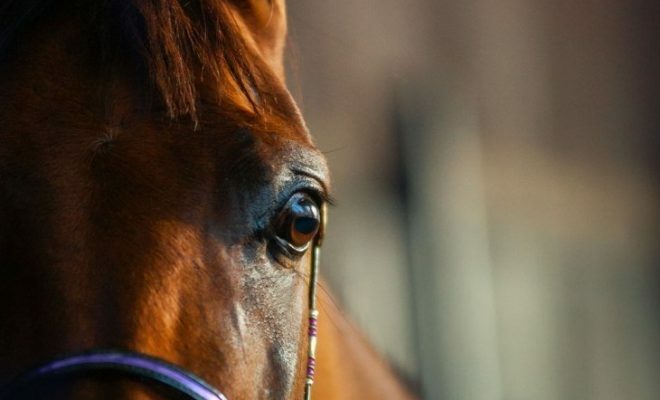 Once you’re sure that your horse is not in any physical pain and that this tack fits correctly, you can set about solving the problem of your strong horse. 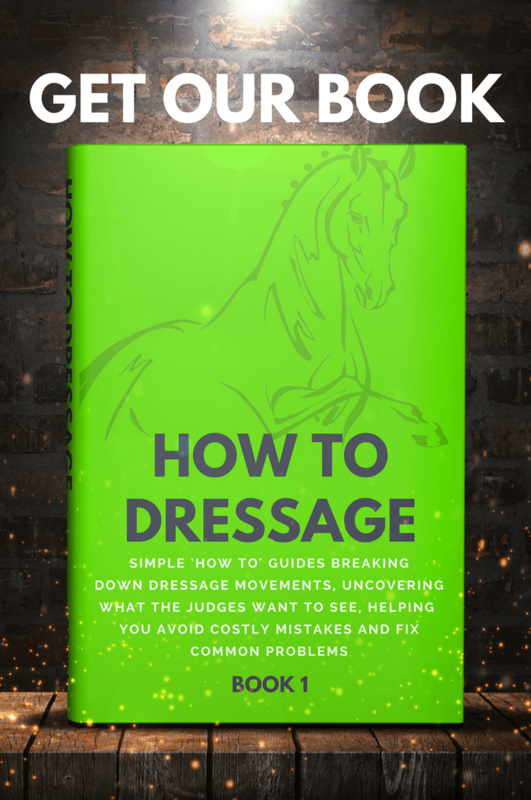 Hot horses undoubtedly have a presence in the arena, but a strong horse presents a whole host of problems for the dressage rider. If the horse is tense and excitable, he will tend to rush, causing the tempo of the rhythm to become too quick. Often, a strong horse will jog in the walk, losing you many marks in a test. Also, tense horses are frequently hollow through the back, lacking engagement and balance. Strong horses often bear down on the hand, pulling the rider forwards out of the saddle and running along on their forehand. That leads to rough, unbalanced downward transitions and abrupt, rushed upward ones. An inexperienced, young horse can become strong in the canter work. That usually happens because the horse is unbalanced and unable to support himself with his hindquarters. The result is a horse that panics and runs onto his forehand, leaning on his rider in an effort to keep himself on an even keel. How you ride a strong horse largely depends on why the horse is strong! Over-sensitive, excitable horses must be acclimatized to the atmosphere at dressage competitions. 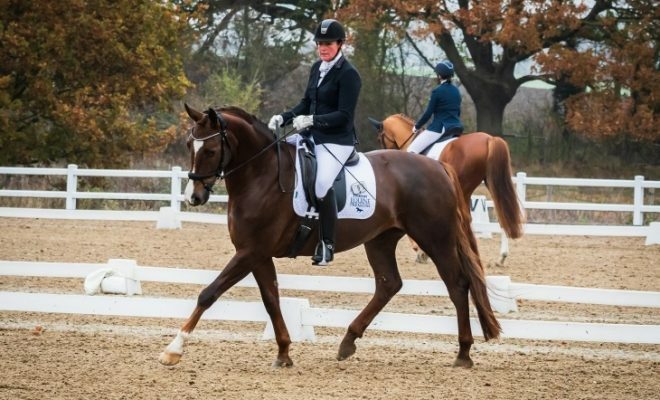 Check out our articles on overcoming tension and riding the sensitive dressage horse for more help. Here, we’re going to discuss how to correct the horse who rushes and loses his balance. 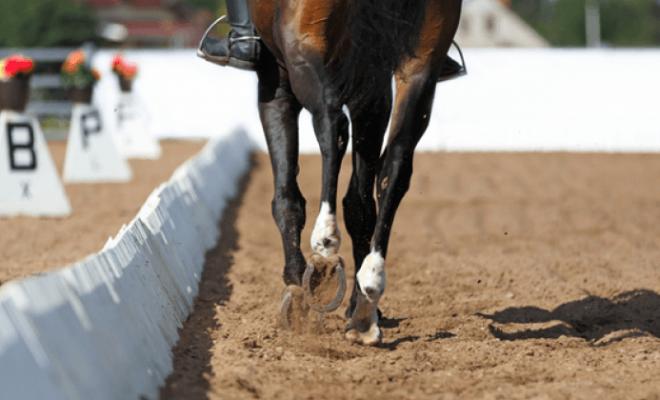 A strong horse must learn to connect through his topline so that you can use a half-halt to steady the tempo and improve the balance. The strong horse seeks to save himself by leaning on your contact and falling onto his forehand. As he loses his balance, he picks up speed and pulls even harder. To correct this, you need to teach the horse to listen to your aids and accept them. There’s no quick fix to this problem. Don’t make the mistake of using a harsher bit or a double bridle to act as a set of brakes! If you do, your horse will probably duck behind the contact and become hollow through his back, which will leave you with a whole new set of problems to solve! How secure is your seat? You can’t ride a strong horse effectively if your seat is not secure. You should be relaxed, sitting in the deepest part of the saddle with your weight evenly distributed over both seat bones. Sit tall with your back straight and your shoulders, hips, and heels in a continuous line. Your arms should hang straight down from your shoulders; your elbows should bend so that there is a straight line between them, your hands, and the horse’s mouth. Your legs should hang down and rest quietly against your horse’s sides without gripping. A few lessons on the lunge from a good instructor can be beneficial in improving your seat. So, once you’re secure and relaxed in the saddle, you can begin to work on riding the strong horse. Begin by teaching your horse to accept your leg without rushing. Ride a 20-meter circle in a walk, keeping a constant, quiet leg contact that your horse can ‘breathe’ into. Try to keep your legs still, using just enough pressure to prevent them from moving away from your horse’s sides. Your horse should stay relaxed. If he tries to rush off, don’t allow him to pull you forward out of the saddle. Sit straight and deep. Keep your leg on quietly, and ask the horse to walk with a steady rein contact, trying not to pull on the reins. Repeat the exercise until the horse is calm and doesn’t try to hurry or become strong. If you keep your aids and your position consistent and steady, your horse will learn what to expect from you, and he won’t associate your leg contact with rushing forward. Now that your horse is settled and accepting your legs at a walk, quietly ask him to trot, still on your 20-meter circle. Use a small push with your seat to ask for the trot, keeping your legs passive against the horse’s sides and maintaining a consistent, elastic contact with your horse’s mouth. Take up a rising trot and keep the tempo steady. As you rise, count out the “one-two” rhythm in your head so that you can tell if the horse begins to speed up. If the horse does start to speed up, don’t rise any quicker. Instead, maintain the speed of your rise as this will encourage your horse to maintain his speed also. When the horse starts to become strong, keep your leg on quietly, sit to the trot, and ask him to walk, holding your position and keeping your rein contact steady. Repeat the exercise, using very quiet aids. As soon as the horse starts to rush, bring him back to walk. Throughout the exercise, keep your leg steadily on the horse, keep a consistent contact with his mouth, and maintain an even tempo. Once the horse stops trying to rush, move off your circle, add serpentines, and use the whole arena. The moment the horse becomes strong, go back to your 20-meter circle and repeat the exercise. When the walk and trot are calm and steady, try the canter. The canter is usually where the “wheels come off” when schooling a strong horse! Start on your 20-meter circle and ask for a transition into canter. As soon as the horse begins to pull, bring him back to regain a calm and steady trot. Repeat the exercise, gradually increasing the number of canter steps until you can negotiate a whole circle without the horse rushing. All the time, maintain your position and don’t allow the horse to pull you forward. Eventually, you will be able to ride the canter around the arena without your horse pulling. The key to riding a strong horse well is to establish a genuine connection through his back to an elastic contact. That will enable you to ride half-halts, which you can use to check the tempo when it starts to become too quick. The ability to ride a half-halt is also vital for balancing the horse in the canter work and through transitions. Do you have a horse that rushes and becomes strong? How did you cope, especially in competitions? Tell all in the comments box below!